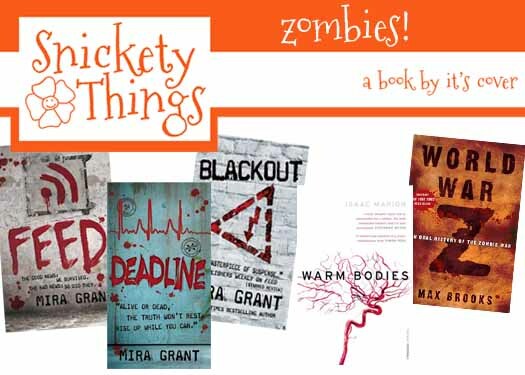 Snickety Things: A book by its cover, Zombies! Any of you who read the blog fairly often know that we don't have cable and get most of our TV from Netflix. Well, at the end of last year we discovered The Walking Dead on Netflix. I was never really in to zombies before I watched the show, probably because I hadn't ever really watched any zombie stuff. While I wait for season 2 to show up, I scoured the bookshelves at the library for books to feed my brain desire to get more zombie action. I found a few zombie books that were fairly new on the scene. The point is, I finally finished the book I was reading so I could do my review, so today is all about zombies. Each of the books I have today have a different twist on the zombie theme. This is the series I was trying so hard to finish for this review. I discovered them just as the second book came out. I was able to quickly read both the first and second books, but the third took me a bit longer. It wasn't because it was bad, it was just a busy month and I had a hard time finding time to sit down and read. 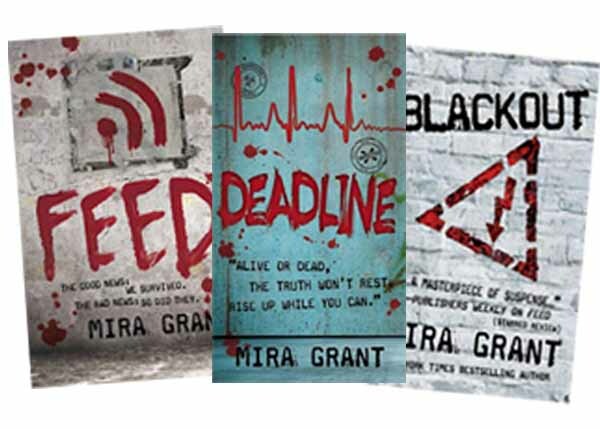 The series begins with a group of young bloggers (in this world they are considered the modern reporter) covering a zombie style virus roughly 26 years after it begins as they follow a presidential campaign. Imagine our current presidential campaigns with the occasional zombie outbreak and you can see where it is entertaining. There is a lot of action in all three books, and also a lot of language. I was able to overlook that since the books were so interesting. Where most zombie apocalypse books merely graze by the cause of a sudden zombie invasion, this series delves in to how and why it happened. The underlying premis in this book was if you died, you became a zombie. Unless you were killed by a head shot. That means that if your grandfather died in his sleep in the next room you could be facing his zombie self shortly after. The sense of fear the characters lived in was apparent. There were plenty of twists in the books, and also a fair amount of fodder that was easily figured out. The point is that the books were very entertaining. There is an ebook only prequel to the series that I have yet to read, but it is on my to read list. I grabbed this book because I like zombies and it was a zombie book. Maybe that isn't the best way to choose a book. It is the story of a zombie who is tired of being a zombie and doing all the zombie things, like eating brains, chasing people while moaning or just staring into space for long periods of time. Even though the entire book was written from his perspective, I never felt connected to the main zombie character. He goes off in search of something more to his life. I honestly think if they had left out the eating brains part, it could have been any group of teenagers I see walking around. I really tried to like the book, I just couldn't. I also felt a little disheartened when I discovered that it is going to be an upcoming movie. I think I'll be skipping that one at the theater. I guess I like my zombies a little more EAT BRAINS! and a little less snuggly. 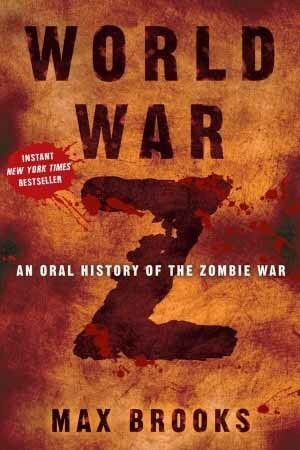 This book takes place after the close of a zombie war. It is written in a interview style of people who had major parts in the war, having them look back on what they did. It is written in short snippets that make the book easy to read when you have small amounts of time set aside for reading. The characters were well created for the short sessions each interview lasted, some were even repeats as they book focused on different aspects of the war and the characters were revisited. 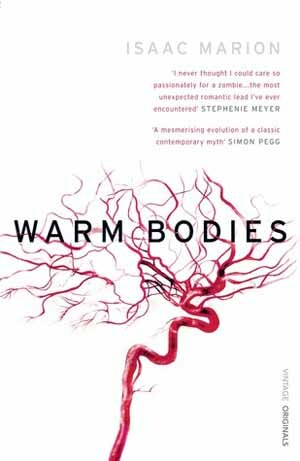 Like the Newsflesh trilogy showed how the zombies formed, this book does also if a bit more vaguely. What I really liked was how it talked about the way the current zombies were being exterminated (or not). After all, the war was over but there was still clean up to be done. I actually found myself wondering what I would do in similar circumstances if I was in the same position the characters were in.